What began as a vision to create European-inspired, high quality menswear from a little flagship store on Chapel Street has grown into an Australian retail success story. Since launching their first store in South Yarra in 1975, Politix have come a long way in the past 40+ years. Though some things have changed over the years, their mission and vision still remains the same. 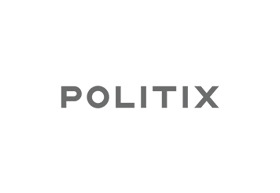 Politix are pioneers for dressing Australia’s modern man in accessible luxury, with a focus on innovative design, expert fit and tailoring, and a supreme attention to detail.